Buying vegan fashion means buying clothing that is free from leather, down and feathers, fur, wool, and silk. Basically it’s shopping animal-free. Although I’ve talked about this topic before, having a vegan closet is not the easiest thing, let’s face it! Yet, I see new brands popping up on Instagram all the time and today I want to talk to you about a brand that has captured my heart, called Mila Vert. 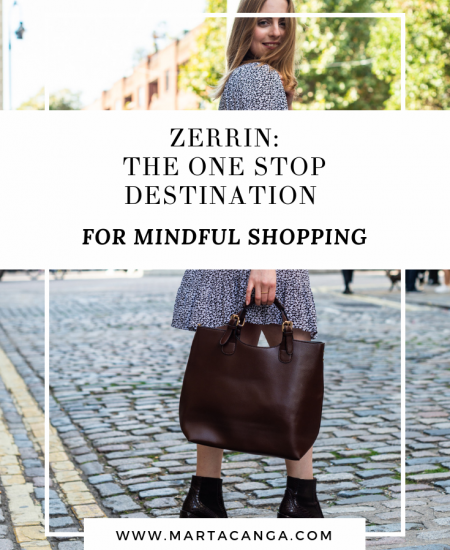 Whilst many of us find excellent alternatives in the high street, I am trying to shop more and more consciously and sustainably as well. So here is my step-by-step guide to a vegan closet that is going to help you transition into a wardrobe that is free from animal suffering and leverages its impact on our delicate environment. Self-explanatory, but very important. I guess the most basic step is to have a critical scan through your closet and keep the items you love and that are vegan. Definitely remove the clothing items that you don’t like anymore and have a think about the type of clothes you do like to wear and buy. The ultimate guru for this is the ever-so-organised Marie Kondo, and her book ‘The Life-Changing Magic Of Tidying‘. I have it. I’ve read it. It’s a revelation. Go get it if you want an expert opinion on how to actually declutter your closet and keep the things that you actually love. Where does veganism come in? Well, keep the clothing items that are vegan, of course. We’ll get into more detail with what to do with things that are not vegan in the next step. Easy to say and hard to do? It depends on the type of person that you are. There is so much waste in the world already, so look for an opportunity to clear your closet from low quality clothing or garments that do not align with your ethics. When checking to make sure that a garment is indeed vegan, do as you would a food product, read the label. Avoid items that include leather, suede, down, silk, and wool. If you aren’t sure if a fabric is vegan or not, research it before making a purchase. There are so many great vegan fabrics available including cotton (organic is preferable), hemp, and soy. Items (especially shoes) with the inscription “ all man-made materials” is a great indicator, but depends on how much you trust the source and how it was manufactured. 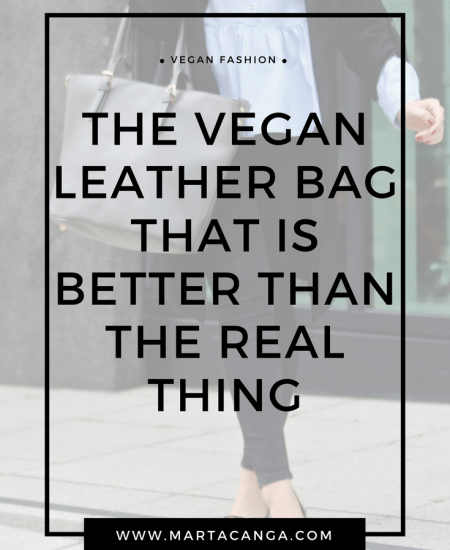 Have a read through my 5 Cruelty-Free Leather Alternatives right here! In general, I feel a bit uncomfortable wearing something that contains animal suffering when I know I can find a vegan alternative somewhere. So in this case, you have two options: either you get rid of or donate everything that is not vegan and shop new clothing that is vegan, or you keep it and buy its vegan version when it’s ripped apart and fallen into pieces. Another great piece I wrote about this is my 5 Vegan and Sustainable Materials You Should Know About. Because they were very expensive. As a young professional, I would feel very guilty about giving them away. Because I love their designs and I still haven’t found a vegan alternative. 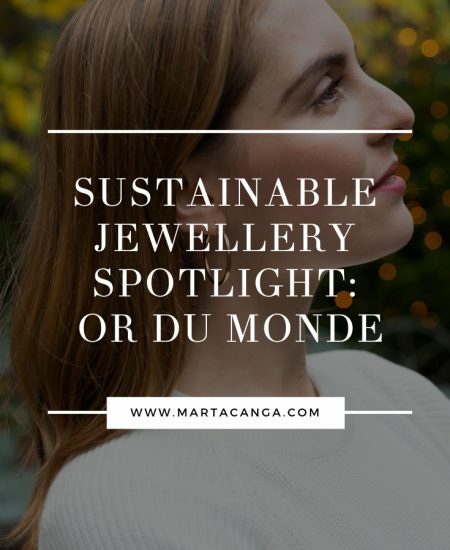 Because of sustainability. I believe it’s more sustainable to keep something non-vegan and wear it until it rips apart, rather than give it all away and immediately buy a vegan counterpart. 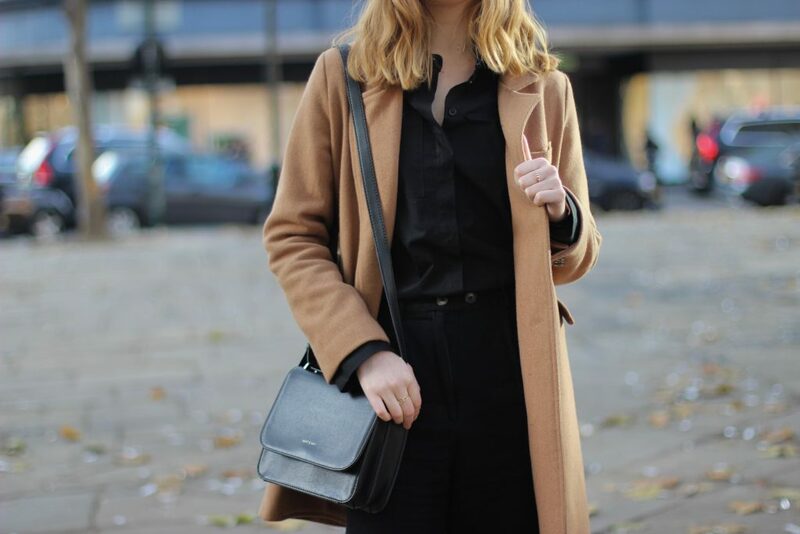 If you do find yourself in a position where you’d rather give away your wool coat or your leather jacket and buy a new one, it is more sustainable and ethical to invest in a brand that offers high quality and durable garments,. Keep in mind, that if you have cleared our your closet as mentioned in step 1, you have to purchase clothes you need, not clothes you want. Think of shopping less. Choose pieces that you love. Make smart decisions and go for wardrobe staples! Vegan fashion is a learning process. In the beginning you may continue to shop at the stores you have always frequented but instead, seek out items free of animal products. 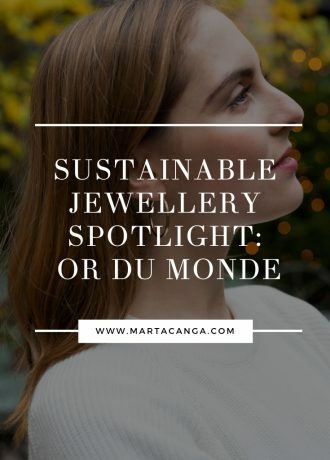 Over time, additional ethical issues (such as organic, fair-trade, made in Europe) may be important to you and you’ll buy less to invest in higher quality pieces. Mila Vert is a perfect brand for this, but I’ll talk about this in a moment. Support those who are trying to make a change! Understand the benefits of your action and shop wisely. Support ethical brands and understand where your money is going. Please let me introduce you to Mila.Vert. Mila.Vert is a PETA-approved, vegan, and sustainable clothing company founded by the very talented Tina. 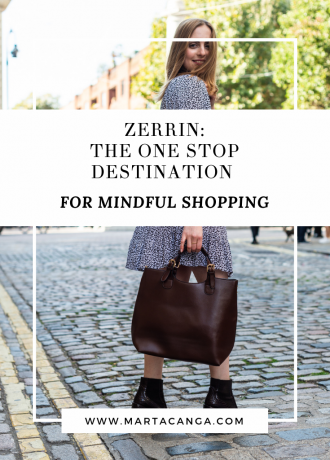 They create absolutely beautiful clothing fashion and they are perfect if you are looking to invest in classic, vegan pieces that will last you a lifetime. The reason why I like this brand so much is because they put style at the forefront of their pieces. However, they are an ethical business who are trying to avoid adding any damage to the planet and respect the health and wages of their workers. 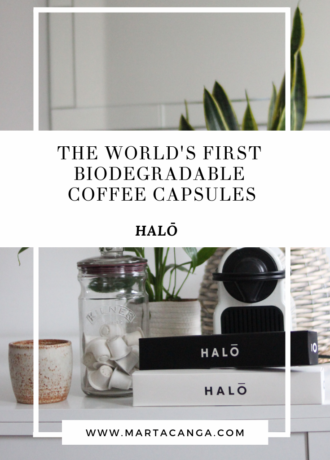 The company is based in Slovenia, promoting local services and they also offer a transparent supply chain so you can rest assured that they comply with high quality ethical standards. The fabrics are 90% environmentally friendly, particularly organic cotton. Read here to know 5 Reasons Why You Should Invest In Organic Cotton. Every purchase comes with an organic cotton backpack and they try to tackle the issue of packaging at every stage of their garment process. Furthermore, they will exhibit at the Ethical Fashion show Berlin in January 2018! NOW ONTO THE SERIOUS PART. Their designs are so beautiful, chic, simple and elegant, yet feminine and perfect for the young woman who wants to feel empowered by clothing. The fact that they use environmentally-friendly fabrics is certainly a plus, as I naturally love their designs and minimalistic feel. The great thing about that is that you can get a piece of clothing that fits a lot of occasions and can be worn again and again! In this blog post I am wearing the Mila.Vert White Jumper and I just love it. The fabric has been produced in Turkey, and it has been produced in Slovenia. It’s also GOTS and PETA certified. It’s so warm, comfortable, and has that perfect shape that holds no matter how many times you wash it. I’ve worn it several times already and it’s definitely one of my favourites. I’m also wearing the Mila.Vert Black Poplin Shirt, which I have also worn to work and love it since it’s black! It’s a rather crisp fabric, but it’s also GOTS and PETA certified. Pretty much the best way to find out about any types of sales and discount codes. 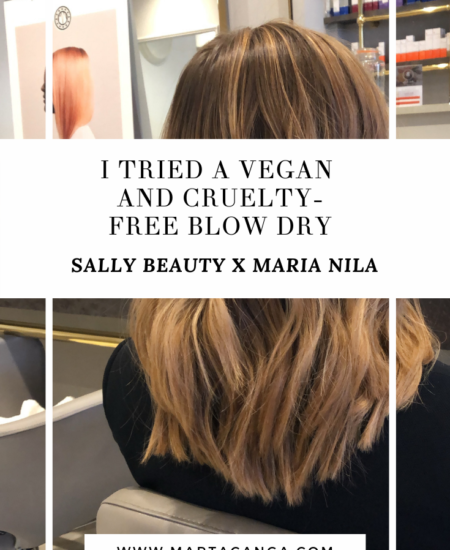 Instagram has become by far my favourite place to find out about new vegan brands, and if I really do like them, I’ll go to their website and sign up to their email list. 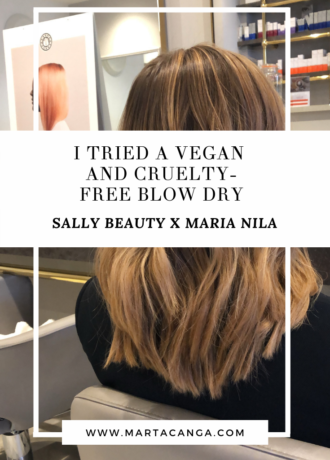 In general, I follow a lot of vegan/ethical/sustainable bloggers, so that also helps me find new brands! 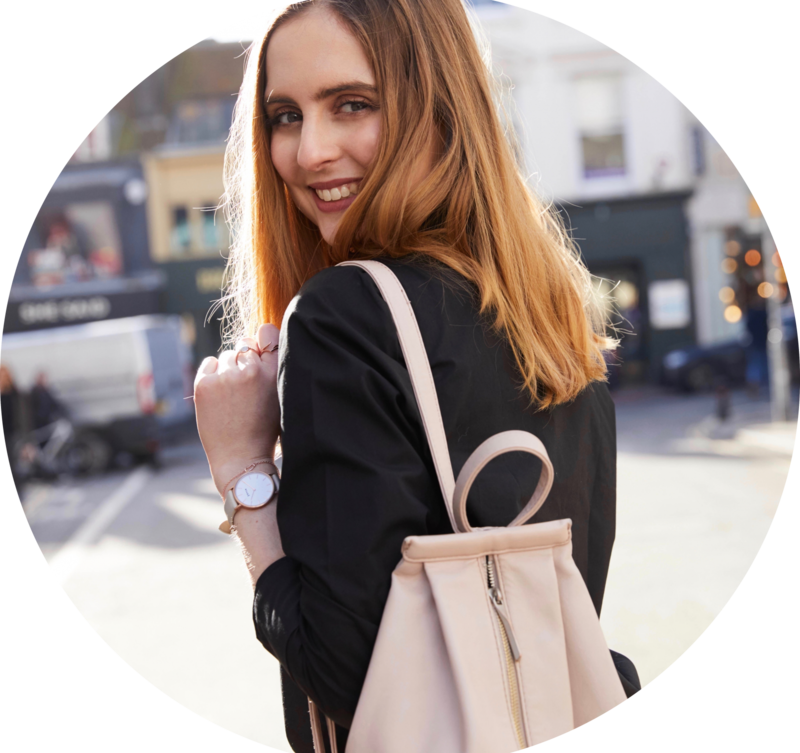 I wrote a blog post about Everything You Need To Know About Vegan Fashion and I mentioned my favourite bloggers that I’m always checking for new brands. Definitely a must-read, if I say so myself. 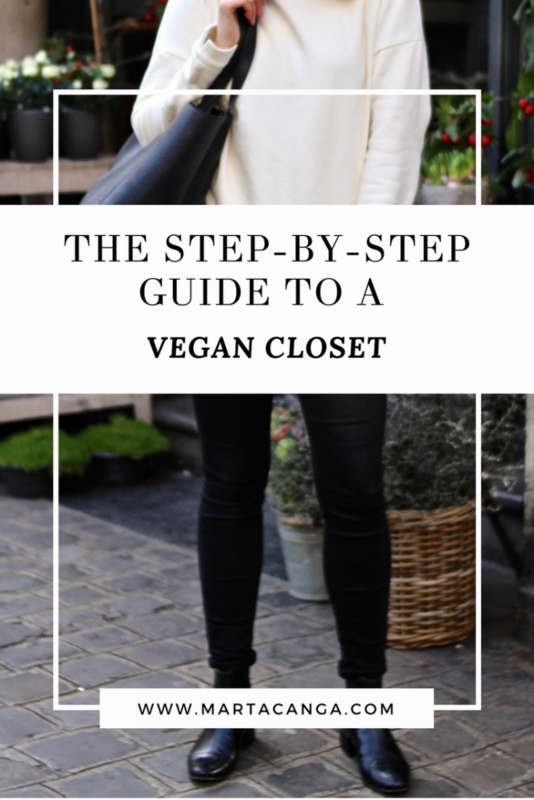 So that was my step-by-step-guide to a vegan closet. These are some of the ways you can start reducing your contribution to the negative social and environmental effects of the fast fashion industry. Of course, you are free to do as you want and have a pace of your own. My closet very close to being 100% but thankfully, I believe every little helps! Hopefully with this advice, you will have an easier time veganising your closet. You’ll no longer have to wonder what to do with unwanted non-vegan items or how to find vegan companies and their best bargains. More importantly, you’ll feel more empowered as you actively lessen your animal consumption and embrace a kinder lifestyle. Feel free to have fun with learning about kinds of vegan fashion companies and be sure to check out Mila Vert‘s collection for beautiful and ethical fashion to help you transition into a vegan closet. This article contains sponsored content. All opinions are my own.